In this week's issue of Famitsu (buying this thing is one of my most understated joys in Japan) there was a double page spread highlighting a new Samurai Warriors (Sengoku Musou) title by Koei Tecmo. But rather than being Samurai Warriors 5, this is a whole new spin on the franchise. Related reading: You can read Matt's review of the last "main" Samurai Warriors game, Samurai Warriors 4, here. The game is called Sanada Maru, and is named after a famous fortification that the Sanada family held through the Sengoku period in Osaka Castle, and was utterly impregnable... right up to the point where it was destroyed by the Tokugawa following their successful war that ended the conflict once and for all. The game's timing would also seem to be related to a popular historical dramatisation on Japan's national TV network, NHK, also called Sanada Maru. Every year NHK choses one historical figure to do a series on, and Yukimura Sanada was the one this year. 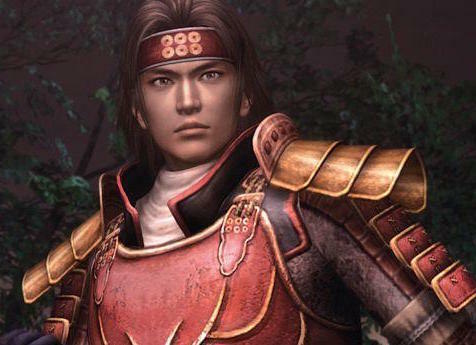 Though the game isn't a formal collaboration with NHK, it would seem to be Koei's way of tapping into Yukimura's additional popularity at the moment. By focusing the game around a single family of samurai, it is our bet that Sanada Maru will be a far more story-driven experience than Samurai Warrior games in the past, and that has us excited, because the stories that emerged from that period of history are vivid and exciting, and if the game encourages people to learn more about the era in-depth, then it's a game that has done right by the period of history. While it might sound like this mean the game only focuses on a couple of characters, I would expect that not to be the case. Indeed Koei Tecmo has already introduced one new character into the fold; the utterly gorgeous Lady Chacha (Yodo-dono), who will apparently grow up from child to woman over the course of the game. Lady Chacha was Hideyoshi Toyotomi's second wife, and mother to his son, Hideyori. That in itself is going to be interesting, since when I write that Lady Chacha was Hideyoshi Toyotomi's second wife, that is not to mean that Nene, the well-loved character from the series and Hideyoshi's first wife, dies. Hideyoshi had many wives, simultaneously, and this has never been something that the Samurai Warriors series has acknowledged, presumedly because by the modern sense of morality that would reflect badly on Hideyoshi's character. I am absolutely fascinated to see how Koei Tecmo handles (perfectly legal at the time) polygamy through its narrative.